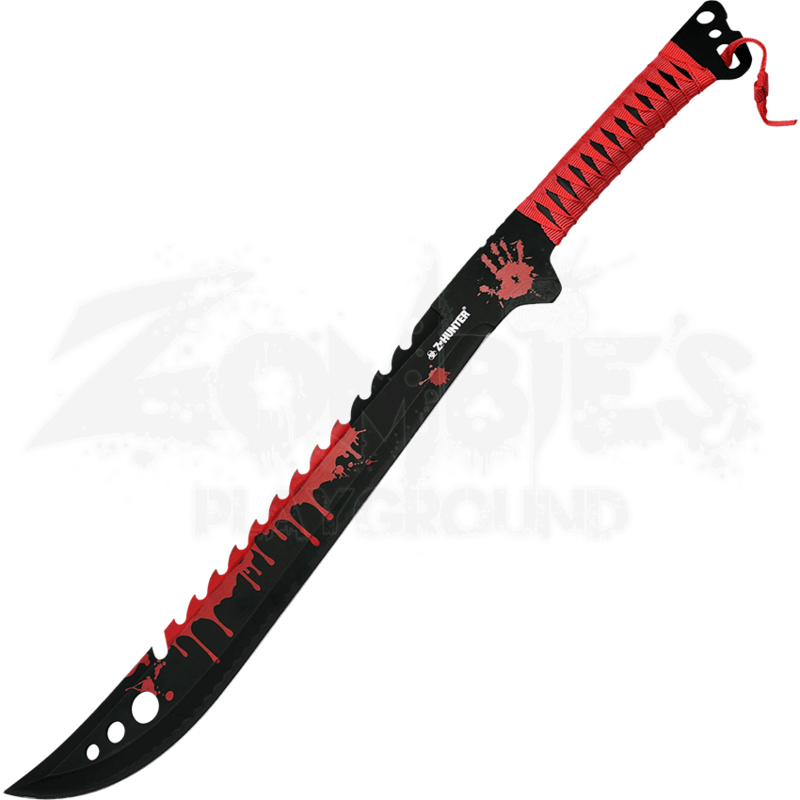 Fresh off the job of slaying the walking dead, the Red Spattered Zombie Hunter Machete resembles a weapon used by the survivors in a zombie movie. This machete will make a great side arm should you find yourself facing down the undead hoards. A trio of cutouts lightens this blade, while its wider tip puts more force into every strike. The serrated features on the back and a notch guard above the handle make sawing your target a breeze. Red fabric around the handle and a nylon sheath are special features to this weapon. 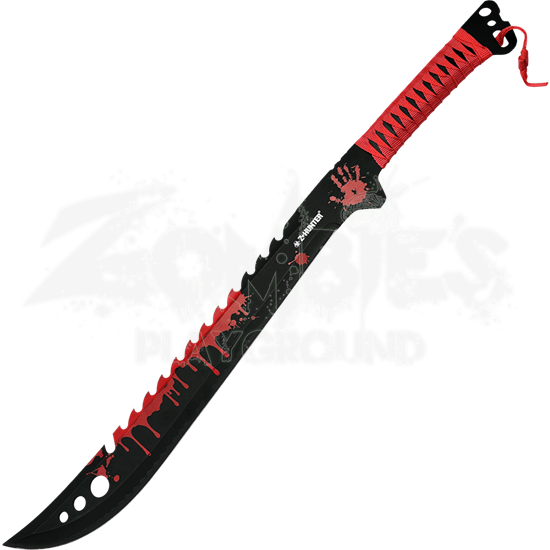 Red spatters on the black stainless steel blade add authenticity to this Red Spattered Zombie Hunter Machete, giving you the confidence to cleave any walkers that cross your path.